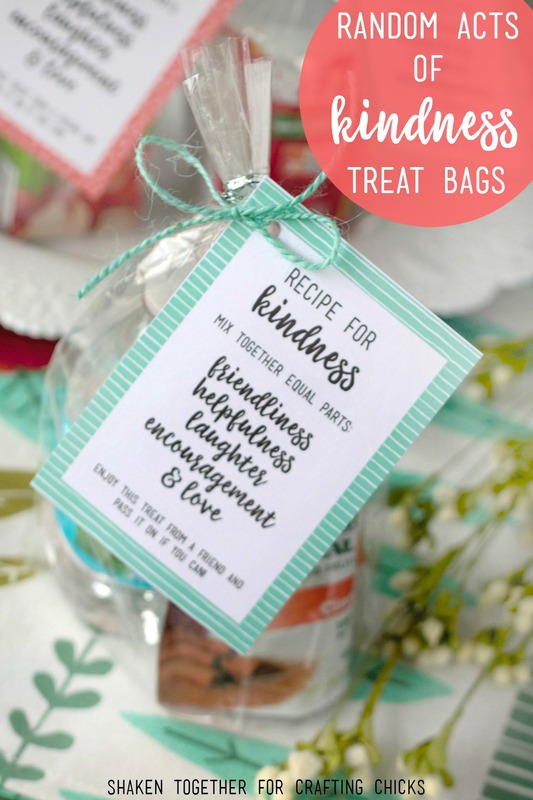 “Recipe for Kindness” Random Acts of Kindness Treat Bags are a simple way to encourage children in generosity, kindness and love! 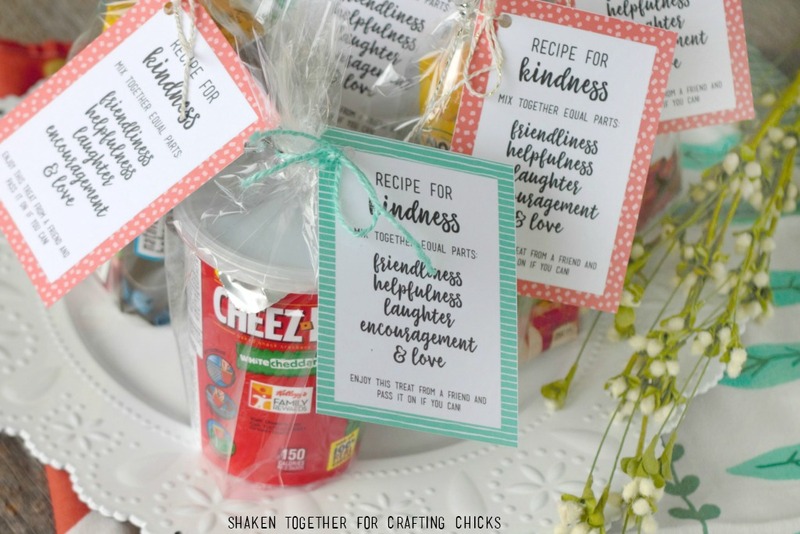 There are lots of bag filler ideas and printable tags included, too! Boy, is the world my boys are growing up in different from the one of my childhood. 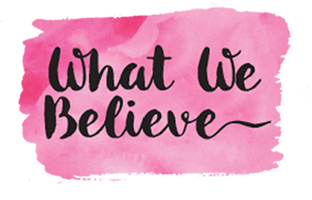 So much social media, the pressure of perfection, the push to grow up too fast … at times, as a parent it is overwhelming. Until I settle back in and remember that we are all doing the best we can with what we have been given. 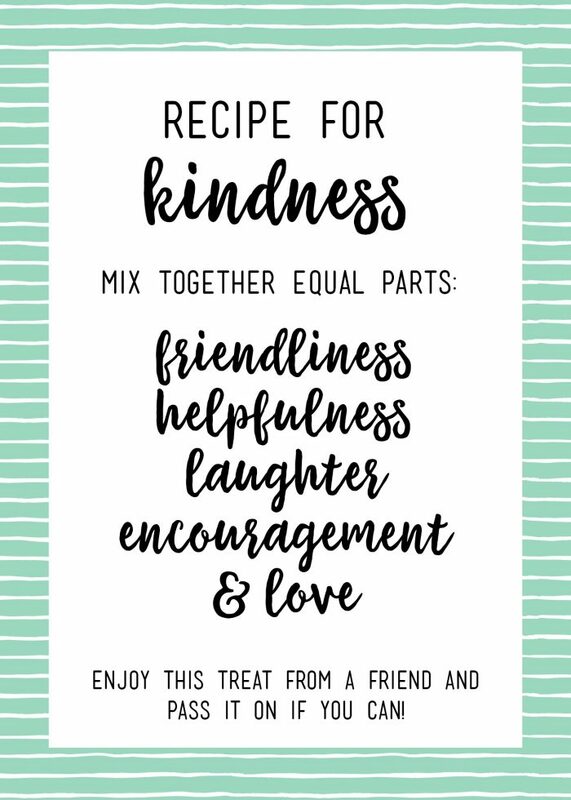 If nothing else, I can try to combat some of that darkness with a little light, kindness and generosity. And you better believe I am going to encourage my boys to do the same. If we haven’t met before, Hi! 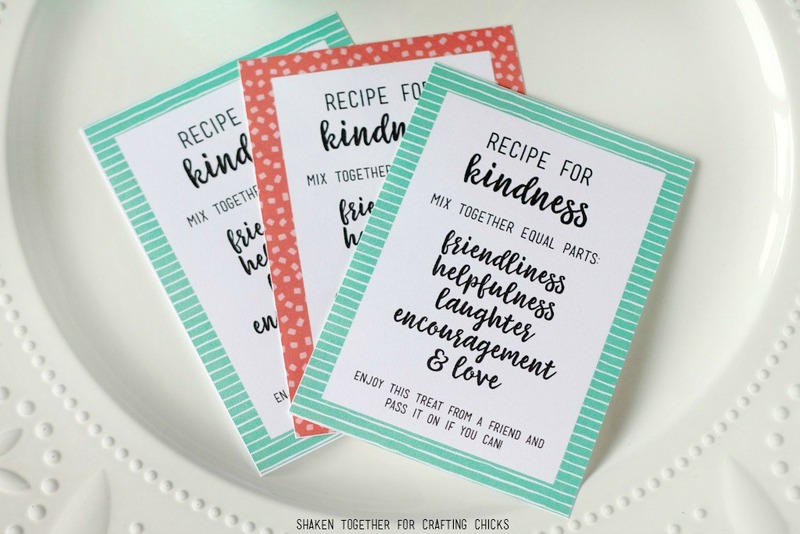 I’m Keri from Shaken Together 🙂 This is probably my favorite post of the Chicks’ Mother Hen series and it is little different from my typical recipe post. 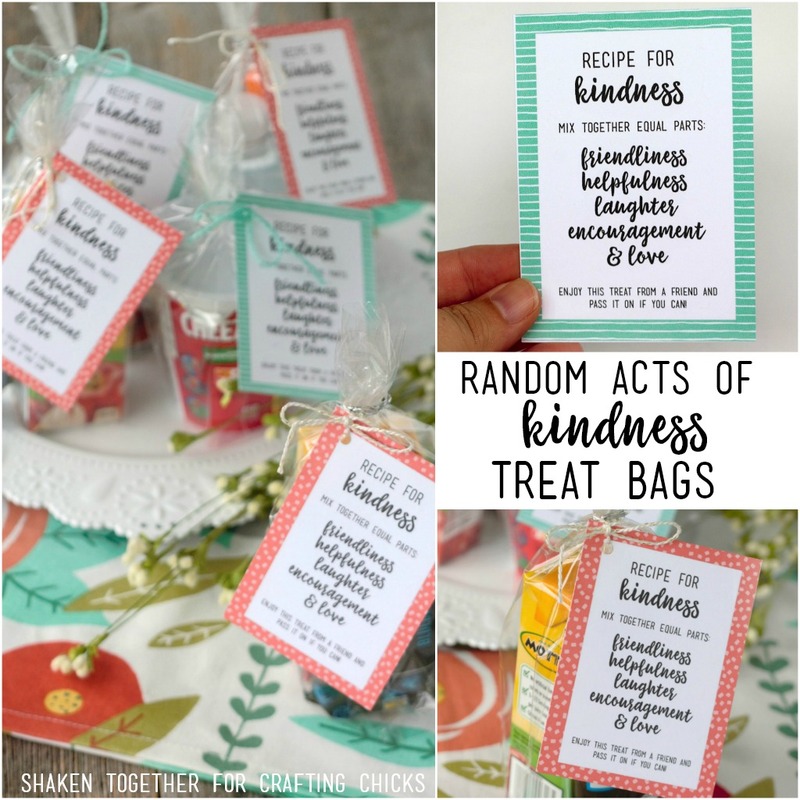 Today, I’m sharing these “Recipe for Kindness” Random Acts of Kindness Treat Bags! 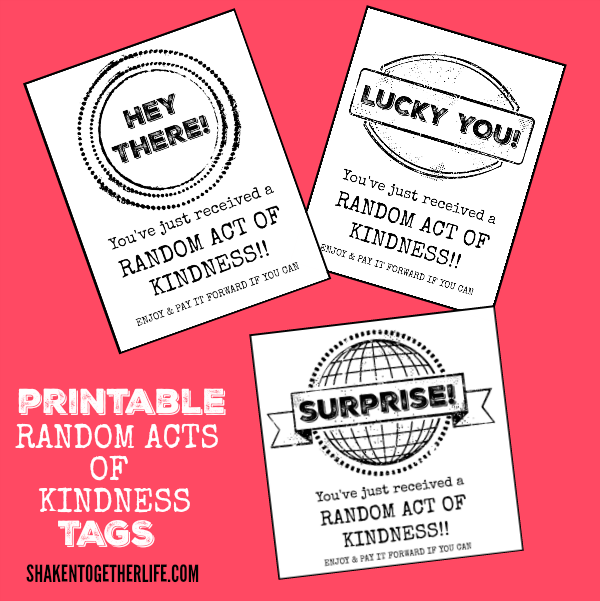 You can print out as many as you need – just right click and download the mint or coral tags below and save it to your computer. You can resize the tags for as large or small as you need to depending on the size of the treat you are going to give. 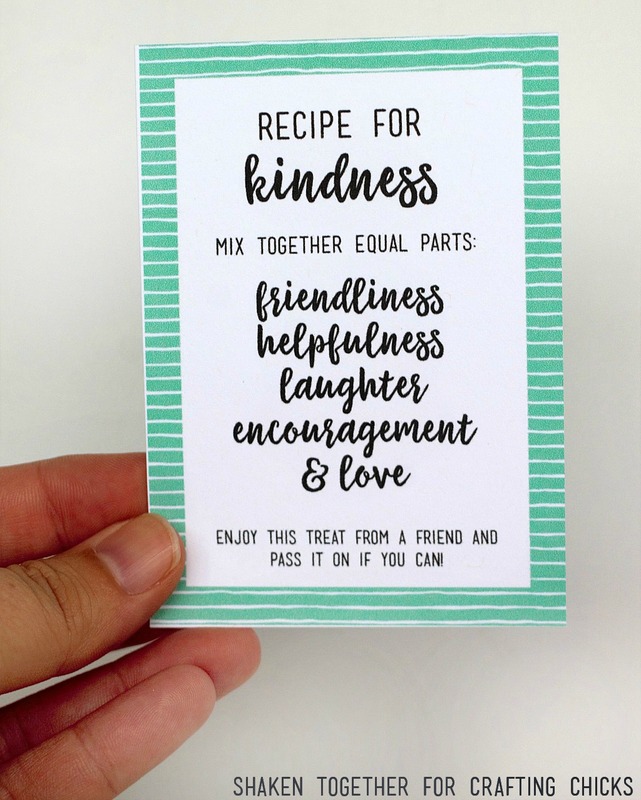 If you prefer, you can click here for a sheet of printable recipe for kindness tags (2 mint & 2 coral). 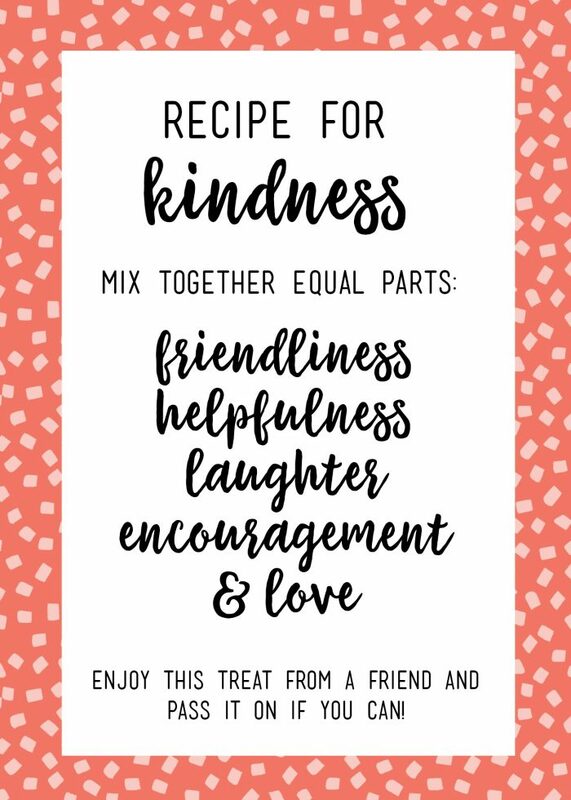 If your school doesn’t allow you to stash edible treats, fill your bags with fun pencils, stickers, bubbles, new boxes of crayons, sidewalk chalk, mini notebooks, scented markers, plastic animal or bug figurines, hot wheels cars, shaped erasers and any other fun trinkets that share the recipe for kindness! 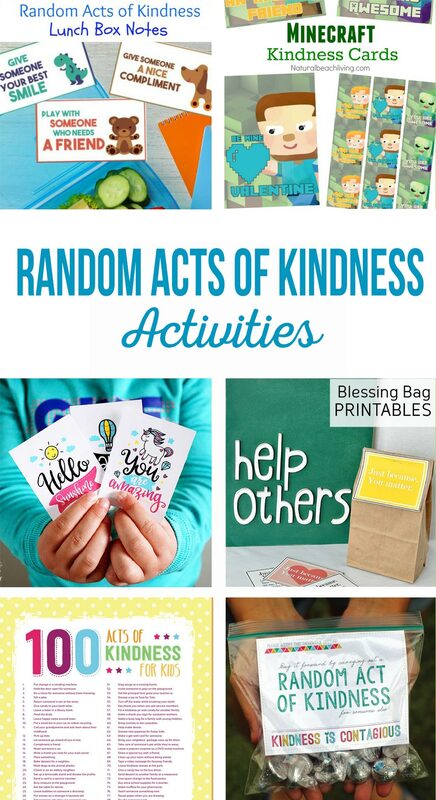 These random acts of kindness treat bags are also fun to leave around your community. 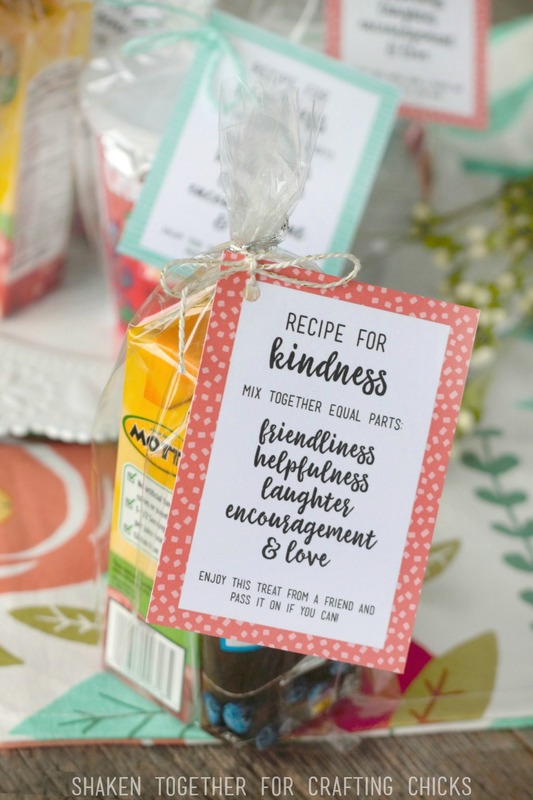 Make it a reverse scavenger hunt and leave treat bags in creative places!